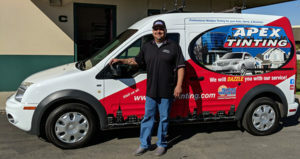 We are happy to report that our customers say we do the best windshield repair in Santa Ynez Valley. On site, on time, inexpensive, fast and friendly! Apex takes pride in making you 100% satisfied with your windshield replacement or repair experience, all around the Santa Ynez Valley. Think again! Our windshield repair Technicians can actually correct most cracks onsite, with no replacement necessary. With these guidelines, it is easy to know what to do: take a look at the chip. Is it less than the size of a quarter? Is it located away from direct line of sight of the driver? Good news! You can probably have your windshield repaired instead of having it replaced. If, however, the crack or chip is just too big for repair, we can replace it. And most windshields can be done onsite if needed. Just give us a call and our staff will get you setup for a fast and easy appointment. Apex Technicians will come to your home or your office to replace that windshield in no time. Apex is only local company to offer ADAS windshield camera calibration! 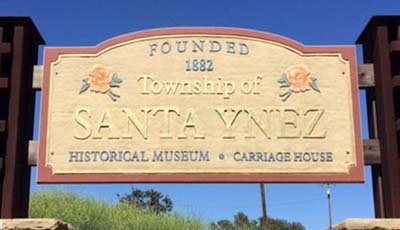 As little as 15 minutes to fix that car window in Santa Ynez Valley! Think you don’t have time to repair your windshield? If your windshield has a chip or crack, acting fast could potentially save you hundreds of dollars. For average chips, windshield repair is generally a fast process that is more inexpensive than replacing your windshield. If your chip or chips can be fixed, the repair should only take about fifteen minutes for each chip. Yet, how do you know whether to repair or replace your windshield? If you make the wrong decision, you could end up driving in a risky, dangerous situation. Consult a fully trained Auto Glass Technician, who can make the right decision. Apex Auto Glass will give you a FREE windshield assessment. A windshield does a lot more than protect you from wind and rain, and nasty flying insects! It’s actually part of a network of components that help support your car’s roof. When it comes to your safety, what is just as important as seat belts and airbags? Your windshield!